I live in the foothills of southern Alberta, with the Rocky mountains to the west and prairie grasslands to the east. We are a short 30 minute drive west of Calgary. Living in this picturesque rural landscape has given me a deep regard for the natural surroundings. Everyday provides new inspiration – the ever changing landscape and diverse flora and fauna provide endless inspiration. I am mostly a self taught artist and over the years have enjoyed the opportunity to attend numerous workshops which has helped me to grow as an artist. Stained Glass has often been described as a form of ‘living art’ due to the way it changes throughout the day. Elizabeth Hertz has been creating custom designs in Stained Glass and Sand-carved Glass since 1979. She has a unique ability to create designs that truly reflect the personality and preferences of each client. You are welcome to drop by the Studio to talk to Elizabeth and view a portfolio reflecting the expertise that comes from many years of custom designs. “V-Sounds have recorded more than 30 tracks , and reached various #1 positions on the iTunes Mexico chart and have had up to 3 tracks at the same time in the top 10 of the same chart at the same time. They have a worldwide fan base and receive invitations to perform in Asia , Europe , and Latin America. Tegan and Sara, a Canadian indie pop band formed in 1998 in Calgary, Alberta, identical twin sisters Tegan Rain Quin and Sara Keirsten Quin. Both talented musicians in their own right, songwriters and multi-instrumentalists. Dance...is such an art! I cannot do it, I wish I could! Watching couples that can do it, ignite the fire that is simmering somewhere deep inside, haven't found it yet, but darn, this holds my attention, and inspires me, I hope you connect with their passion like I did! Wow! and m"But it is really worth to have such abilities. Also, no less important is supposed to be the connection between the dancers, as this can very hard to dance with the partner you do not know. According to the fact, that the main thing for dancers is the proximity and emotions between partners, so here you will not find sharp movements and turns. Obviously, on this video there is a passion to what they are doing and also to the associate, that can be the guess but still, maybe they are a couple. Cornel and Rithika have chosen the great song that perfectly suits the feeling and emotions during the dance. Clearly visible, that the partners did not just cram their moves, they feel the partners and feel the moves, that is the most important prerogative for bachata dance." Up-and-coming Canadian duo Elijah Woods x Jamie Fine will surprise you with their candour and depth of intention to their art. Comprised of instrumentalist/composer Elijah Woods and lyricist/vocalist Jamie Fine, EWxJF is a delicate marriage of exploratory musical styles and masterful emotional play. The best way to prepare for the new EWxJF is to prepare to eliminate expectations. The duo has meant to breach the boundaries of every genre out there - with hints that there’ll be dancehall, hip-hop, jazz influences that consistently shake up the tune. What will remain will continue to be a vision that deviates from the mainstream in a bid to “make people feel real” as they listen and expose their vulnerabilities - even those they didn’t know that they had. "Elijah Woods and Jamie Fine's bio. 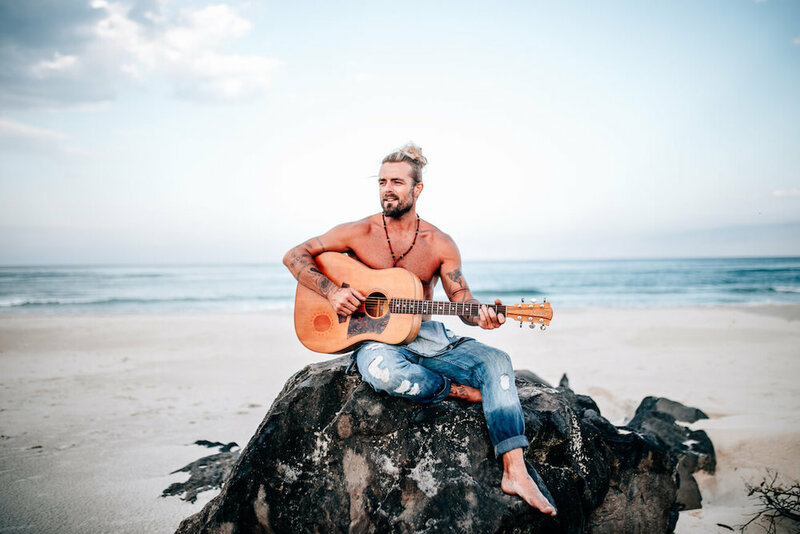 Xavier Rudd, Australia's most iconic multi instrument musician. "As early as fifteen years old Madison was already showcasing at Canadian Music Week in Toronto, and at the 2014 Folk Alliance International Conference in Kansas City, MO, USA. Maddison has earned appearances at a full slate of festivals including performances at the Calgary Stampede, Big Valley Jamboree, Wild Mountain Music Festival, and more. Maddison was one of six finalists for the prestigious CCMA Discovery Program award for 2015. She has been nominated for multiple Alberta Country Music Award including Female Artist of the Year, Song of the Year, and Video of the Year. The year ahead looks very promising for this young artist. Maddison hails from Okotoks, Alberta." Taken from Madison's Facebook bio.